In 1860, a young man named Dean Wile opened the Wile Carding Mill. Using money he had earned giving singing lessons for five cents, Dean Wile built his new mill on land his Grandfather, Andrew Wile, had purchased as early as 1796. At the time, the area was called Sebastopol (1860-1899) and, in honour of his Grandfather, the Sandy Brook that runs next to the mill was named after Andrew Wile. Carding is the process of breaking up clumps of fibre, such as raw wool, so it becomes aligned and can then be used to make batting, felt and yarn. Traditionally, carding had to be done by hand, which was a time-consuming chore. Mills like Wile Carding used machinery to card raw fibres, effectively processing a week’s worth of wool in a single hour. Residents quickly embraced the convenience this service provided and by the 1880s, Dean Wile’s business was thriving. At its peak, the mill employed three women full-time, operating 24 hours a day, six day a week. In addition to carding wool for locals, Dean Wile began using leftover fibres on the machines to produce ready-made batting that he could package and sell for profit. 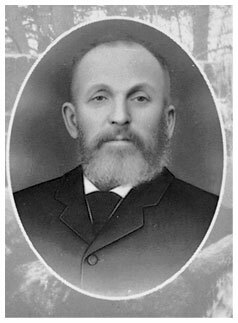 Expanding on his success, Dean Wile opened a sawmill in 1888 and around 1890, added a grist mill to the back of the Wile Carding Mill. Once the 1900s arrived, the need for the mill’s services decreased and by 1920, there was only enough work for one person; Otto Wile. When Otto died in 1936, his son Vernon kept Wile Carding Mill open part time. Wile Carding Mill ceased operation around 1968 and was sold to the Province of Nova Scotia in 1973. A year later, in 1974, the mill was restored and re-opened as Wile Carding Mill Museum.